a. Just another option for spring and fall running. I do not like to be hot or cold on my runs – temperature comfort helps me to enjoy my runs, so I have a variety of capris and leggings in various weights to adjust to the outdoor temps. With capris or leggings a draw string is a must in my books – they will slip down while you run if you can’t tighten them and this can get VERY annoying after just a few km! a. Definitely handy if your long routes take you far from a water source - it can become annoying to have to plan long runs around a water source like a tourist info/ gas station / etc. Nathan makes some nice ones. a. Having a goal race, not just a goal time, can be very motivating. 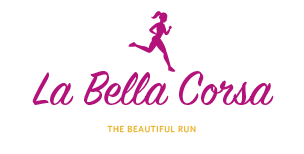 Many are targeted to women only, feature beautiful race courses and fantastic swag bags. I will post later a list of some destination races, they don't always have to be far away, but just signing up and paying the entrance fee – ususally about $80 can make the difference between slipping on your shoes or slipping onto the couch at times. Plus, you’ll get a race shirt and a medal so who wouldn’t want that??! !